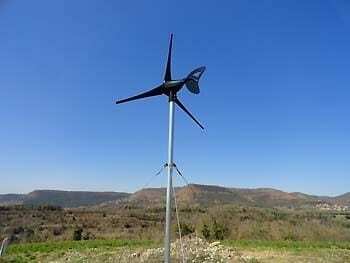 BCN Drone Center facilities, fed for two years exclusively with solar energy, has now a new small wind generator that makes an excellent complement to the solar panels because it allows to produce and store energy at night or in low solar radiation conditions. To optimize the electrical system we also decided to double the storage capacity of the battery array. With these improvements the building has now more green energy available for its users.